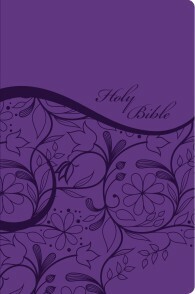 The Sisters in Faith Holy Bible is a sister-to-sister guide through the Word of Cod. 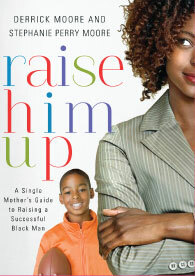 It demonstrates how His Word is active and will impact ever interaction of life in a practical way for the African-American woman- Where can a woman go to find help with life’s struggles? Executive editors Michele Clark Jenkins and Stephanie Perry Moore believe the answers to life’s problems can be found in the Bible. The Sisters in Faith Holy Bible seeks to highlight where the Bible speaks to the five major areas of life: God, Family, Others, Self, and Career. Additional contributors include recording artist Jo ami Rosario Condrey, novelists Kim Cash Tate, Vanessa Davis Griggs, and other scholars and artists committed to encouraging and empowering African-American women with God’s truth. African-American athletes who were raised by single moms, and against all odds, succeeded. It is sometimes difficult for today’s African-American women to remember how important they are to God. The noise of day-to-day tasks and to-dos combined the with the undeniable struggles that face African-American women each day can make it easy to forget that Jesus treated the women of the New Testament with respect and spiritual equality, and how frequently God used women to carry out His purpose. Through the examples of powerful women in the Bible She Speakshelps African-American women find relevance, purpose, and identity in the Word of God. Each chapter offers a complete list of references to help the reader locate the stories of these inspirational women in the Bible with ease. 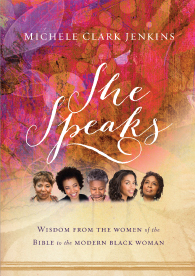 For anyone looking for a deeper study of women of the Bible and for the African-American woman who sometimes needs reminding how real and relevant her struggles are, She Speaks is the perfect choice. 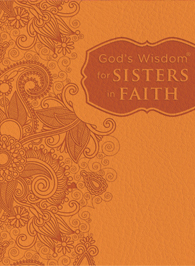 God’s Wisdom® for Sisters in Faith is designed to bring encouragement to women struggling with the cares and demands of life. 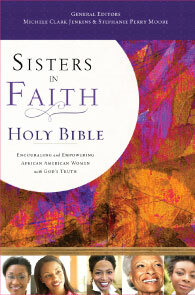 Cameo writings compiled by respected African American writers Michele Clark Jenkins and Stephanie Perry Moore, this devotional features content from the Sisters in Faith Devotional Bible, as well as Scripture readings designed to fill women with God’s abundant peace. The book is divided into eight sections that address topics such as abiding in God’s love, being anxious for nothing, praying for one another, and developing strength for the journey.